Travis Scott has proved once and for all that he has not separated from his girlfriend Kylie Jenner. Against all rumors of a split, dad-to-be Travis is said to be taking advice on changing diapers and bottle-feeding infants from Kylie’s sisters, moms Kim and Kourtney Kardashian. While most fathers stay away from taking care of their infants, Travis reportedly wants to be a hands-on father. Kylie Jenner, 20, is reportedly expecting her first child in a few months which means that boyfriend Travis, 25, has enough time to learn some tricks on child care. “Travis has asked Kim and some of the other mothers in the Kardashian family how to change diapers, bottle feeding advice and other tips to help him prepare for the arrival of his new baby. As the due date approaches, Kylie is happy with Travis’s commitment to be a hands on daddy and she is impressed with the steps he is taking to prepare himself for the arrival of their baby”. Both Kylie and Travis have remained silent about the pregnancy. However, they might let the world know about it after the birth of the child. 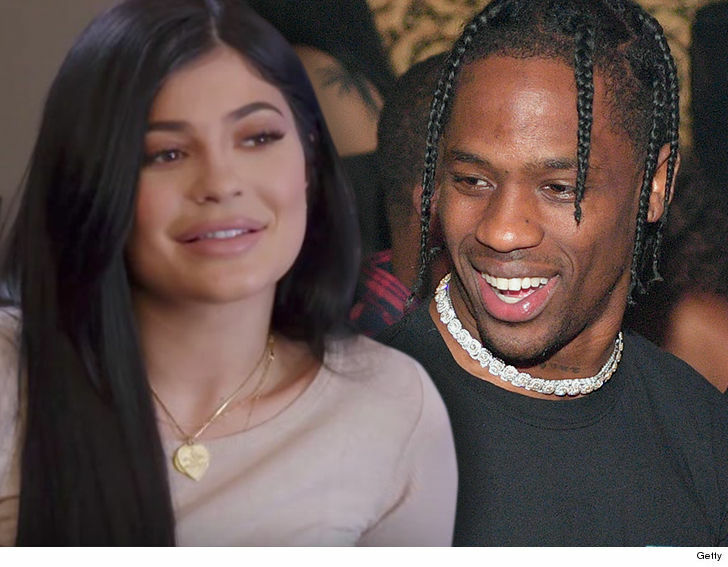 While Kylie has not spoken about the issue, although she has been spotted a number of times with a baby bump, Travis tried to dodge the question regarding Kylie’s pregnancy issue in a recent interview.